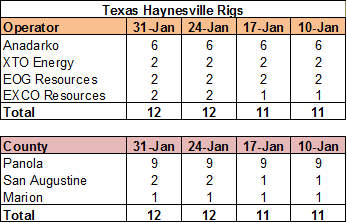 The Haynesville Shale rig count was unchanged at 28 last week. 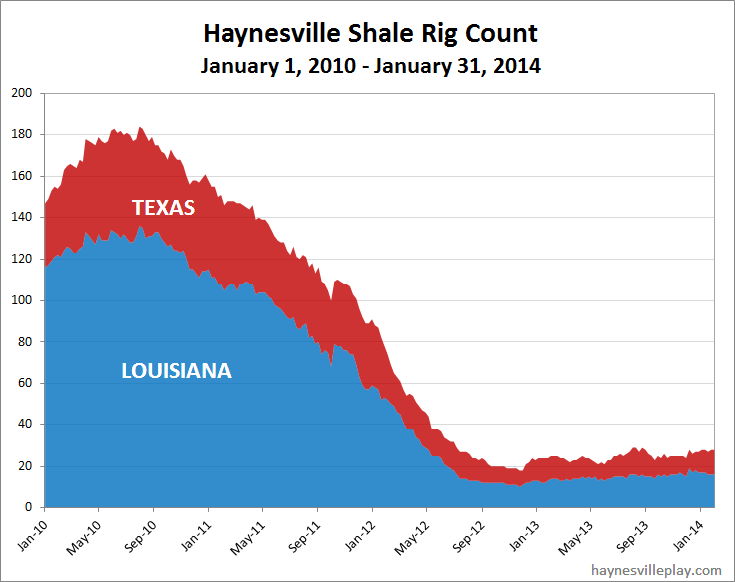 Louisiana held at 16, while Texas held at 12. 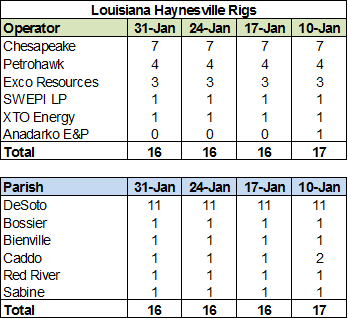 Just a couple of rig moves. Very unexciting.